Many homeowners suffer from strain injury on their hands because they have to carry large pots from the sink to the stove. A good pot filler faucet can be a one-stop solution to that problem. It can allow you to speed up your work in the kitchen and also to multi-task. You can avoid all the mess of sink faucet and enjoy more comfort when you use the filler faucet. But, how can you choose the best pot filler faucets for yourself? Especially, when there are so many options in the market. There was a time while people used to rely on larger coal pipe to transfer their sink water into the pot to avoid carrying it on all the way. But, the process was too messy, and the user had no control over the water flow. But, with the help of the pot filler faucets, things are a lot easy now. 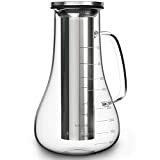 You can also multitask when you are using one of these because you no longer have to worry about the pot anymore or the water flow. How Do We Pick the Best pot filter faucets? There are several visible and underlying factors that you should consider while making up your mind on which faucet should you buy. We have focused more on the controllability, the length and the folding options of the pot filler faucets. Plus, we also took the durability of each of these faucets into our considerations, so construction material is also another major factor as pot filler faucet's benefits. Plus, we have taken the design, the color patterns, each switch, the versatile performance of the faucet and the easy maneuvering ability into considerations. But, at the end of the day, it is all about individual preferences, so we suggested you choose your preferred faucet from this list. The manufacturers of LORDEAR Wall Mount Kitchen Faucet wanted the users to have a one-stop solution to the faucet problems. That is why this faucet is so far extendable. This double-jointed kitchen faucet can extend up to 19 inches so you will be easily able to shift the water from the sink to the stove. The single whole mount is easy to install so you will have the freedom to install this all by yourself. Another factor that places this faucet among the best pot filler faucets is this easy turning ability. The faucet holds a ceramic disc shutting mechanism which makes the tap easier and smoother to use. The lead resistance brass design will help the faucet to last long. So, if you have the measurements right then, you will not have to worry about the distance anymore. This is a very affordable filler faucet with the stunning design so you can definitely go after it if you want a foldable and affordable faucet. If you do not have any trouble with the budget, then this might just be the faucet for you. The Delta 1177LF-SS Pot Filler Faucet easily covers 24 inches in length, so you get more coverage than any other faucet. 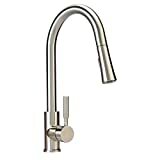 It also features a double extendable faucet handle for more convenience and double closing valves for more control. The Delta 1177LF-SS Pot Filler Faucet comes in 6 different colors so you can choose from a wide variety of choices or options to match your interior. It has a simple turning functionality with a quarter turn for faster water release. You can also have different finishes that will last a lifetime, so you do not have to worry about the durability. You should read through the instruction and the installation manual to properly install it. The handle will stay in the right place after proper tightening, so you do not need to worry about that part. Otherwise, you will be pretty fine with how the whole thing works. This is an elegant looking faucet that will lift the look and performance of the kitchen so you can give Delta 1177LF-SS Pot Filler Faucet a try. Are you looking for a classic piece for your kitchen? 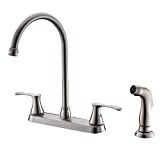 If you are then DELTA FAUCET Delta 1177LF-RB Pot Filler Faucet is the perfect piece for you. The gothic bronze look will add a vintage touch to your kitchen, and the functionality of this faucet will also surprise you. It comes with a strong finish, so the color is durable and shiny at the same time. You can install this on your kitchen sink or kitchen wall; the result will be the same. The one hole installation system releases you from the added hassle and makes the installation process easy. You get to have the dual valve for more control and the quarter turn of the handle is enough to open or close the water flow. The key to enjoying a flawless pot filler faucet is to install it properly. So, you will find no flaws with this model if you manage to install it in the right way. Do not be frightened by the price as the functionality makes it one of the best pot filler faucets out there in the market. The premium brass construction will ensure the durability of your faucet while the lead-free finishing will hold onto the shininess of the faucet. The professional chefs will have a lot of fun using this faucet as it opens and closes very fast and smoothly. This is the best budget choice that you can make. We do not tend to store equipment, so this is not a major flaw. You should rather focus on the product rather than on the packaging. 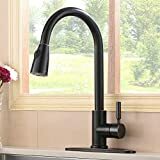 This is a nearly flawless product, and many consider the Havin Wall Mount Pot Filler Faucet to be a commercially effective faucet. So, you can definitely try buying this for its wonderful design and features. If you are finding or looking for a pot filler faucet that has a little bit of everything then Danze D205058SS Parma Wall Mount Pot Filler is your best bet. It has strong body construction of stainless steel, easy maneuverability, and quick water release. But, the best part is it's no dripping technology which makes it one of the best pot filler faucets ever. The two extendable handles can reach up to 22 inches so you can set up the filler on your sink side as well. The faucet is also capable of adapting to cold water, so you do not have to worry about cold stains on the sink. The single hole installation also makes it a fan favorite. We usually want more room and time while filling up the pots so speed can be compromised. If you are able to look aside from that part, then you will see how wonderfully this faucet is. The Danze D205058SS Parma Wall Mount Pot Filler has good adaptability, control, and performance which makes it a whole package. The brass construction and the clever finishing of Kingston Brass KS8103DL Concord Pot Filler is an immediate fan favorite. People like the shiny colors of the faucet as it gives a dazzling look to your kitchen. The quarter turns ceramic valve makes it easy for the user to turn and release the water. The speed is also quite good as it gives the water clearance of 1.8 gallons per minute. The pot filler can extend and be folded to get the water in the desired place. It can reach up to 22 inches which is why it can be installed in the sink as well. Plus, the single hole installation makes the whole process very easy. 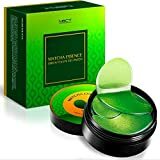 If you have preferred the right color for the purchase, then there is not any other thing that you should be worried about. This pot filler will make your daily life in the kitchen much easier. The shiny color will increase the elegance of your kitchen. So, it is definitely one of the best pot filler faucets out there. This faucet is the same as the previous one but in a very different –color. This chrome adaption is for those who were to stay classy and want a bit of elegance in their kitchen. 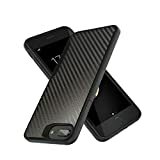 The sturdy brass construction is obviously preferred by the buyer as it has a 4.6 percent rating on Amazon. The filler valve is easy to control and release the water. The Kingston Brass KS8101DL Concord Pot Filler is slightly more affordable than the previous one, so if you want the same feature at a lower price, then you can choose this one. The double extendable arms can extend up to 22 inches and can release up to 2 gallons of water per minute. The water does not usually drip from the faucet if the water pressure is under control. So, you should not worry about this minor flaw. 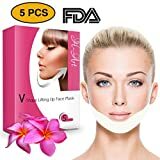 Rather, you should focus on the amazing construction of this overall product. This certainly makes it a worthy pick. 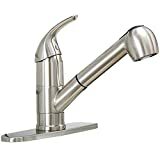 If you need a lot of rinsing and cleaning in your kitchen then Delta Faucet 1177LF-AR Wall Mount Pot Filler Faucet is a worthy choice because it handles fast water like nothing else. It can release about 4 gallons of water per minute so you can quickly fill up the pot. You can also slow it down with its double releasing taps. The sturdy body material of delta needs no introduction as it always excels in durability. The color scheme and the compact design of the product are also well appreciated. The double extendable arms can reach up to 24 inches so the Delta Faucet 1177LF-AR Wall Mount Pot Filler Faucet can be installed in your sink as well. This is the final entry in our list of the best pot filler faucets, so you know that it’s definitely going to be great. If you can control the water pressure properly, then there is not any other thing that you should be worried about. 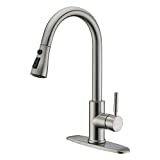 The Delta Faucet 1177LF-AR Wall Mount Pot Filler Faucet is a fine choice for those seeking versatility in their kitchen. We hope that we were able to give you proper insights about the best pot filler faucets. But, if you want to see them on a more personal level, then we have a short summary for you. This highlight which faucet is better for which purpose. You will be able to properly make up your mind after this summary. 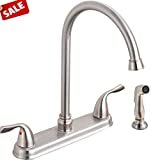 If you do not shy away from spending an appropriate amount of money for the right cause then Delta 1177LF-SS Pot Filler Faucet, DELTA FAUCET Delta 1177LF-RB Pot Filler Faucet and Delta Faucet 1177LF-AR Wall Mount Pot Filler Faucet are the best choices for you. You will get absolute elegance in your kitchen with the help of these faucets. If you want a good faucet with the basic features then LORDEAR Wall Mount Kitchen Faucet, Havin Wall Mount Pot Filler Faucet and Delta 1177LF Pot Filler Faucet would be perfect for you. They will support you superbly until you get to buy a permanent one. 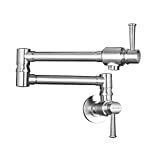 If you want a budget-friendly faucet with all the necessary features to use for a long-term purpose then Danze D205058SS Parma Wall Mount Pot Filler, Kingston Brass KS8103DL Concord Pot Filler and Kingston Brass KS8101DL Concord Pot Filler could be your best choices. We hope, you have a clear idea of what you want to buy. Until then, have a good time.